Multiurethanes SUPERPLASTICIZER is a non-chloride, high-range, water-reducing admixture that is used to disperse cement particles and reduce cohesion of cement grouts, resulting in increased fluidity to improve cement grout penetration within concrete construction joints, granular soils and fractured rock. 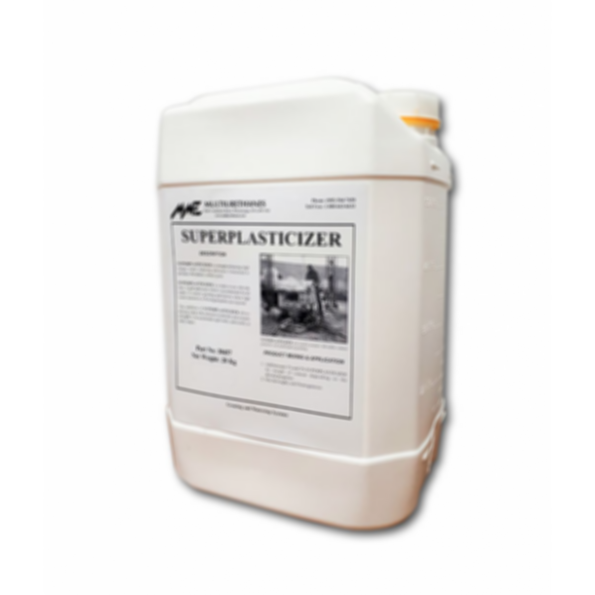 Enables fluid cement grout mixtures to be formulated on the job site to accommodate specific site conditions. Compatible with various types of cement, including regular cement, high early strength cement, sulfate-resistant cement and microfine cement, as well as with other grouting admixtures.